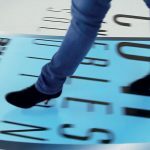 Ritrama Floor Talker Self Adhesive Promotional Vinyl Graphics. 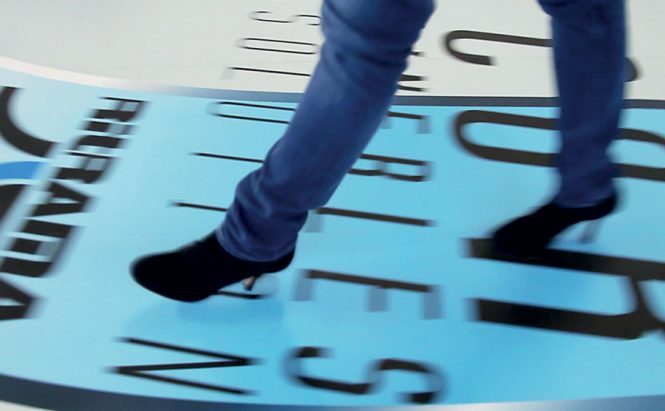 The Ritrama Floor Talker System has been developed for use as an indoor floor graphic advertising solution. 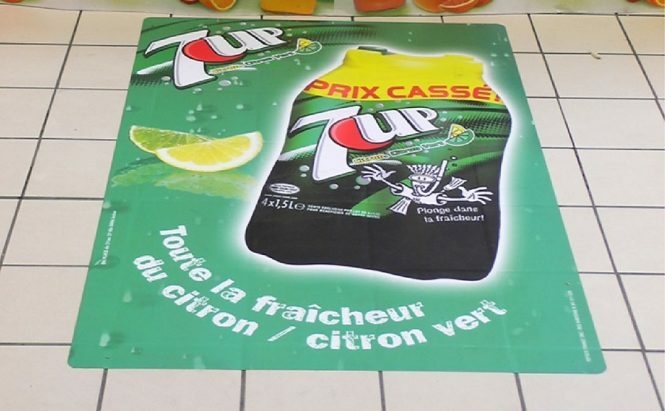 Graphics can be used in most retail environments such as Supermarkets and Shopping Centres . It comprises of a 100 micron white digitally printable vinyl (Rijet 140) and a 200 micron embossed scuff resistant clear overlaminate (RI 121-200). Please note the material is sold in twin rolls and is not available separately. Indoor floor graphics for effective communication in promotional and marketing campaigns and product launches. 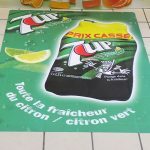 Durable indoor temporary floor graphics for shops, supermarkets, petrol stations, shopping centres, motorway service stations, airports, exhibition centres and railway stations.